Restoring a Ferrari is always a unique project. The legendary Italian marque is renowned for its idiosyncratic recordkeeping and willingness to customize any car for its customers. So the intrepid people who set out to bring an older Ferrari back to new condition must face all the conventional challenges of restoration, plus the prospect of unknown issues peculiar to any individual car. Of all the people in Portland who might undertake such a project, few are as qualified to see it through to perfection as Bob Ames. The legendary local collector, restorer, and vintage racer has the experience, connections, and patience to get the job done right. 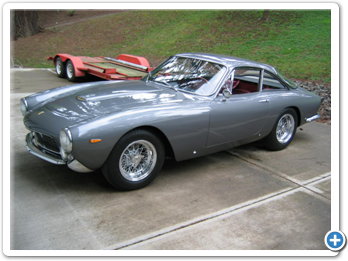 “The car I restored is a 1964 Ferrari GT Berlinetta Lusso, also known as a GTL. I bought it from a fellow named Tom Shaugnessy, in San Clemente, California. He’s the go-to guy for Ferrari parts of that era, and he occasionally has a car for sale. I had been looking for a Lusso for about a year, and it’s always the case when you’re looking for a specific car, there are none obtainable and the price is going up,” Ames says. 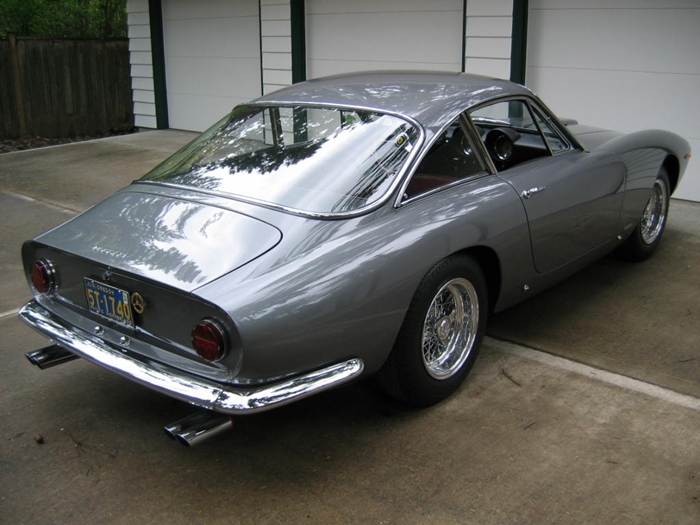 Introduced in 1962, the 250 GT Berlinetta Lusso was designed to stand in the gap between Ferrari’s competition cars and the larger roadgoing cars. 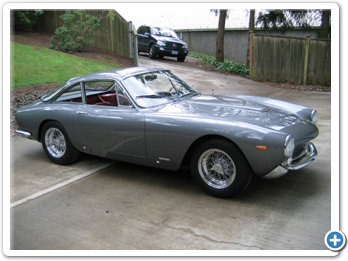 In Ferrari-ese, a “berlinetta” is a coupe, and “Lusso” means “luxury” in Italian. 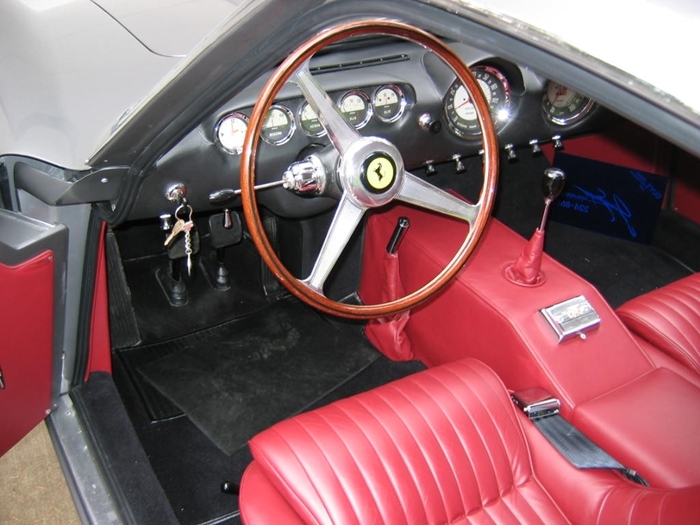 As a street legal car, Ferrari put in such creature comforts as thick carpeting and butter-soft leather. Records indicate that at least one car of this model was equipped with factory air conditioning. “I flew down to Orange County and I took a look at this thing. It was filthy. The windshield was so dirty you could hardly see through it. I thought to myself from 50 feet away: ‘I ain’t buying this car.’ Well, I drove it around the parking lot and it drove OK. I told him I’d pass on the deal, but when I got home I got to thinking about it, and I bought it after all,” Ames says. 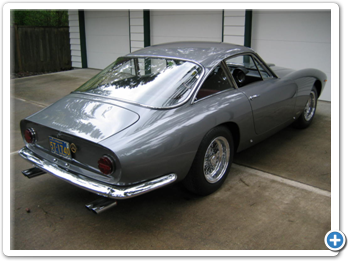 The Lusso’s bodywork was designed by the legendary Pininfarina and built by Ferrari’s longtime partners at Scaglietti. 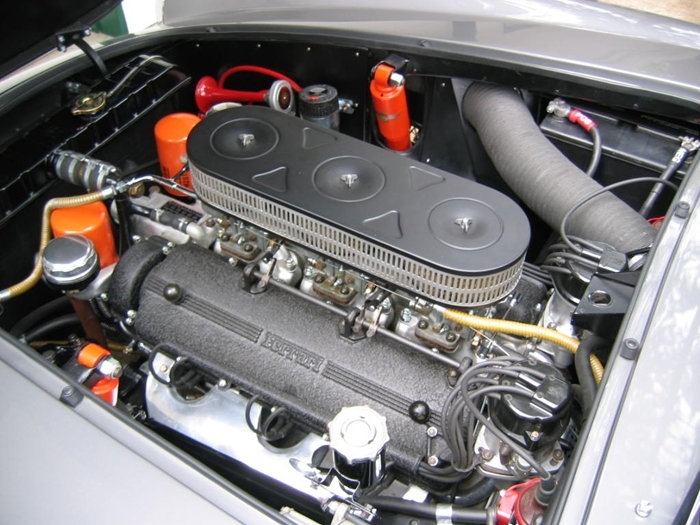 The chassis and 3.0-liter V-12 Tipo 168 engine with 250 horsepower were made at Ferrari’s Maranello factory. 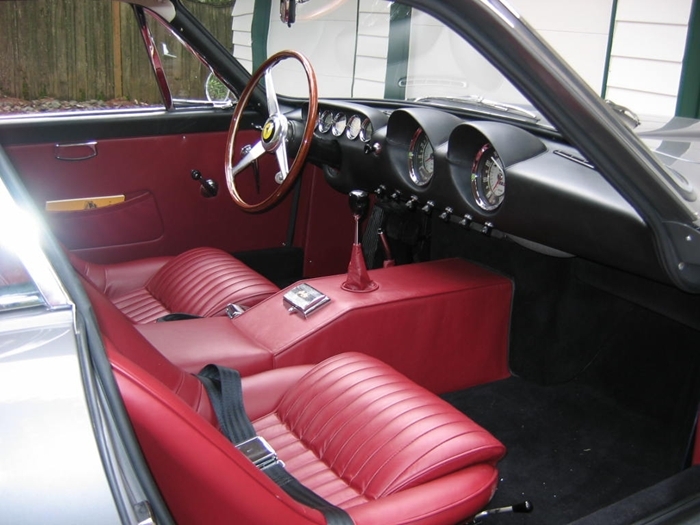 The Lusso was made for three years, and by the end of 1964 just 350 of the graceful sports car had been built and sold. “This car had belonged to a doctor in Kansas, and I tracked down his phone number and called him. He had bought the car new and right away had an accident in it. He was hit in the left rear quarter. He took it to a body shop and they fixed it and repainted the whole car, but not very well. He was so put off by the experience that he never put any miles on the car,” Ames says. 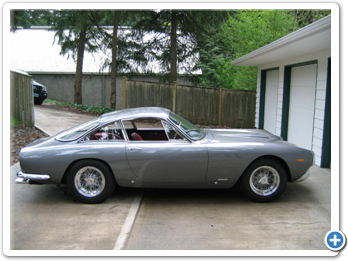 Today, a Lusso sells from about $95,000 up to $400,000, if you can find one. 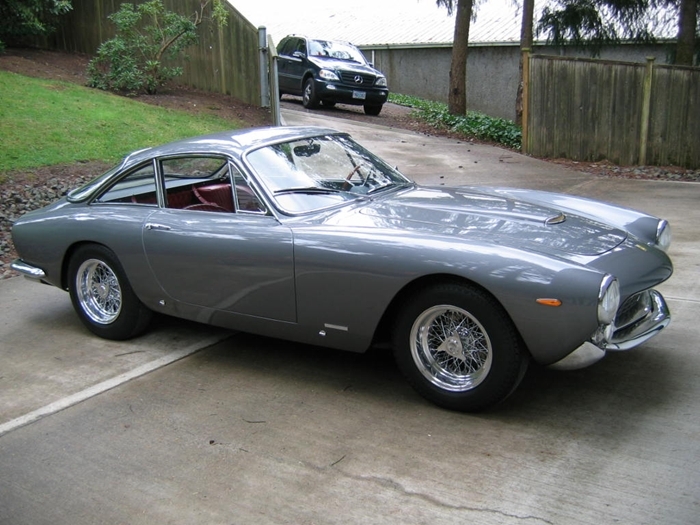 Steve McQueen’s personal Lusso recently sold for over $2 million at a Christie’s auction. 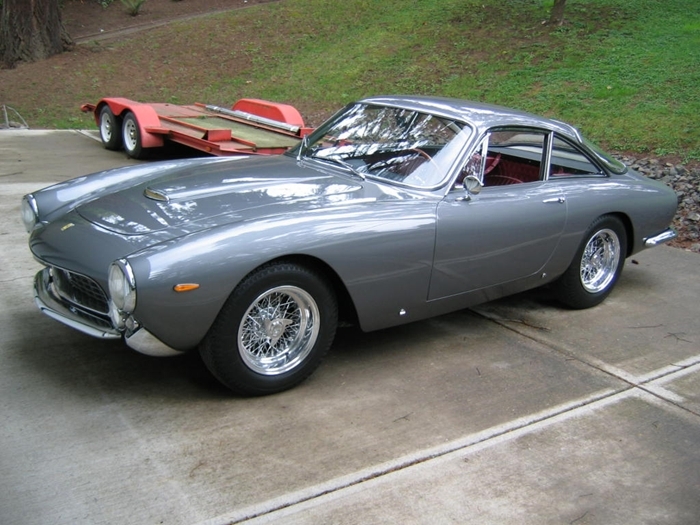 Eric Clapton also owned a Lusso at one time, but which of the 350 cars he had is unknown. 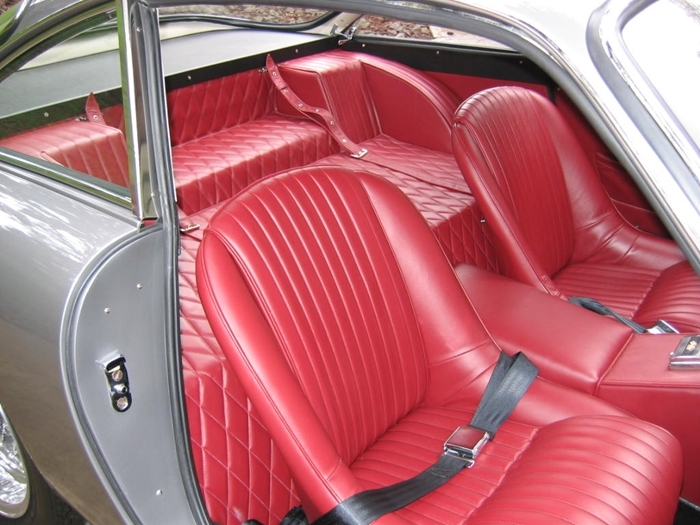 A total of 23 Lussos were made in right-hand drive configuration for English customers. Digging into a classic is like archaeology - the workers peel back the layers of time and experience, uncovering the truth of a car’s history, and eventually come right back to the factory’s original work. “The funniest thing that happened was when we had the car stripped down, Tom (Black) called me and says he’s got the car stripped to the point where you can see what the real problem is. I went over and saw that the original body shop that made the repair had replaced the left rear fender and straightened out the trunk lid, and this was long enough ago that they were able to get factory replacement parts. But they didn’t install it well. The fender was an inch too far in, and they made up their transgressions with a lot of putty. Tom cut it loose and put it where it belonged and did a wonderful job. He had to remanufacture the whole trunk lid, but the car came out perfect,” Ames says with pride. With the car down to bare metal and the cheap repairs fixed, there was only one way to bring it back: just as the factory last saw it. “The greatest challenge we overcame was coming up with the proper paint code. Out of 350 Lussos made, there were only half a dozen or so that were originally red, but I bet that now half of them in the world are red. My car originally had a very distinctive color, which was a deep metallic gray they called Grigio. These days, paint shops have got ways of digitizing a color if you’ve got even small samples of the original paint on the car. So we went back to the original factory color. It came out spectacular,” Ames says. In fact, the color was more significant than Ames could have guessed. In all Ferrari history, only one car was ever built on order in the name of Enzo Ferrari, and that car was ordered in this color. 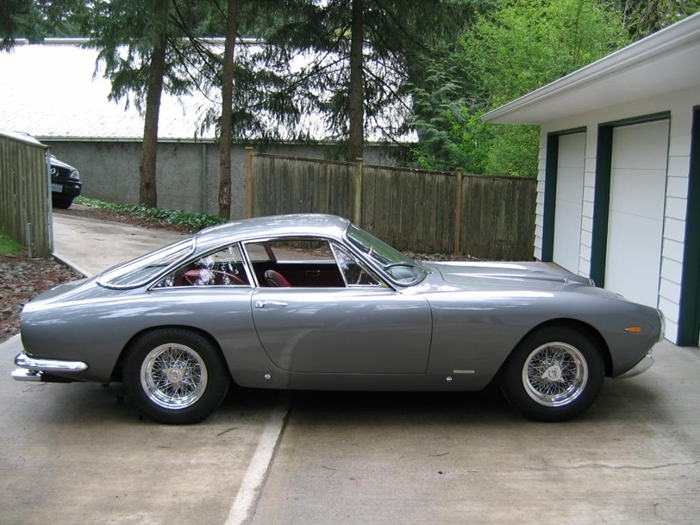 Sergio Pinin Farina, namesake of the company that designed the Lusso, liked his design so much he ordered a Lusso of his own, again painted in Grigio. “It’s a smashing color,” Ames says. 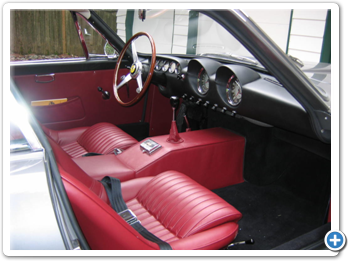 A reasonable person might expect that replacement parts would be very difficult to find for a hand-built made-to-order car like a classic Ferrari. But happily, that’s not the case at all. 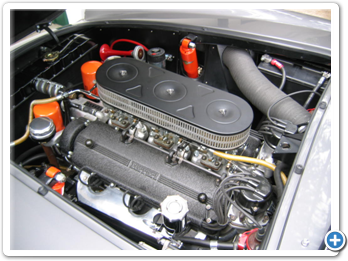 Using modern technology, original parts can be found - just not at swap meet prices! 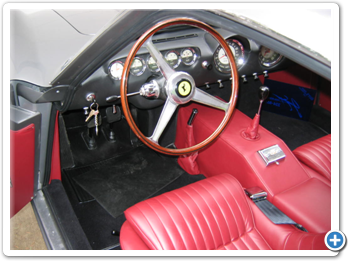 “Ferraris have always been collectible cars, so there’s an immense body of knowledge out there. And the Internet makes sourcing obscure bits and pieces a lot easier than it used to be. Even such pedestrian and stupid things as the ashtray, which sits on the console in this car and has a little Pininfarina crossed-flags thing on it. People sit on them and the damn things are stainless, so they’re impossible to straighten properly. It cost $600 to buy a new one, so that puts it all in perspective,” Ames says. 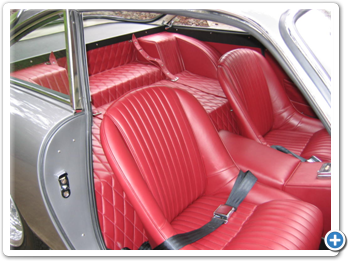 But when it was done, the car received the kind of recognition deserved by a significant car restored to as-new condition. “The car won its class at Forest Grove, and when I took it back out there last year it won Postwar Best of Show,” Ames says. Ames is quick to acknowledge that the car is the result of a group effort among several local professionals. “I have to say, I’m very lucky to live in Portland to do this kind of thing, because we’ve got a great group of people for this kind of work. It took Tom Black and Guy Recordon and Jim Trofitter and Mike Eshaia, who helped me when I needed an extra set of hands. There isn’t any group of people in the world who could do a better job on that particular kind of car,” he says. And what a vision that is. This is possibly the best book on Ferraris. Well-reviewed and stunningly illustrated, Dennis Adler’s text includes more than 200 color and one hundred fifty black-and-white photos and features the Tipo 125, the Farina Cabriolet, the 212 coupe, the 365 GTB/4 Daytona, the Testa Rossa and Berlinetta Boxer series, the F50, and Ferrari’s Grand Prix and Formula One cars. Adler interviews racing legends Dan Gurney, Carroll Shelby, and Phil Hill, Sergio Pininfarina, Sergio Scaglietti, and many others. This text includes the production history for for all Models, 1974-1994: 308 GT4, 308/328 GTB/GTS Series, Mondial, 348 Series, 288 GTO and F40 (Original Series). Also included is are factory specs and equipment and information on options and accessories. This beautifully illustrated book chronicles 180 designs from 1940 to 2006. Each design has its own technical specification and a text that details the principle engineering and sports successes. The Red Dream features twenty of Ferrari’s greatest models with plenty of full-color photographs.